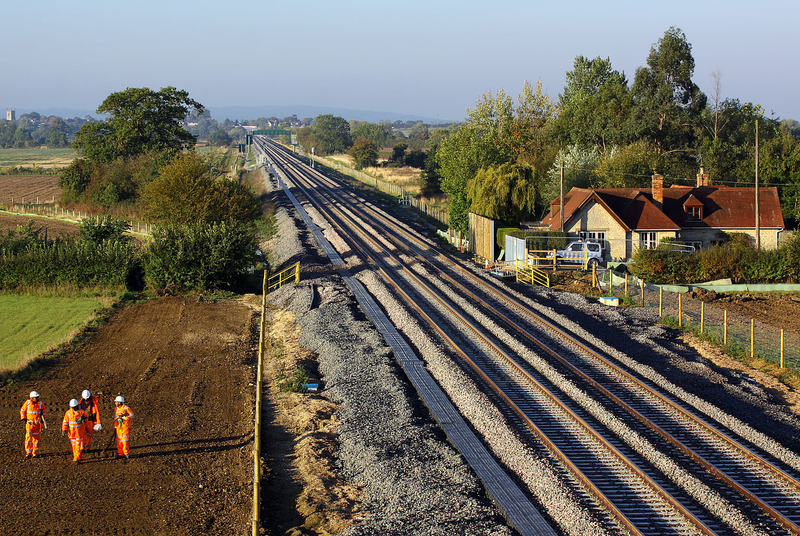 An early morning view of the new track works at Oddington, on the redoubled Oxford to Bicester Line. Rail workers walk back towards the new road, after putting finishing touches to the lineside fence on 30 September 2015. There was formerly a level crossing just in front of the house. A new footbridge can be seen in the background, with Islip station in the far distance. Islip church is on the extreme left. I had hoped to get one of the crew training DMUs, but unfortunately this morning's trains had been cancelled!